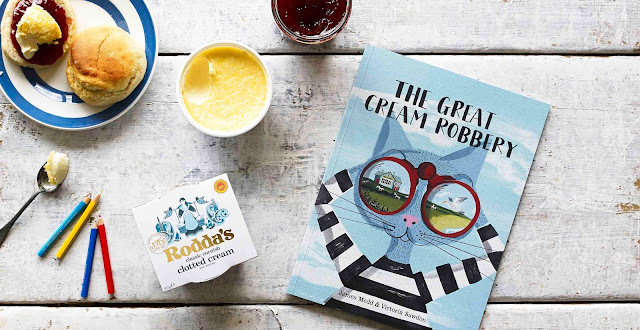 You may have noticed special packs of Rodda's clotted cream recently that have codes you can use to enter to win a copy of a very special children's picture book - The Great Cream Robbery by James Medd and Victora Sawdon. This fun tale of a feline criminal has been launched to celebrate Rodda's 125th anniversary. The Great Cream Robbery is a tale about Merryn the cat, Cornwall's cleverest criminal. Merryn has a cunning plan to take over a clotted creamery and recruits Blue, the seagull, to help her. Merryn tries a few different plots but the one that finally works really put a smile onto Lara's face as it is a topic that we quite often debate in the mellow household... do cows REALLY have to sit down when its about to rain? 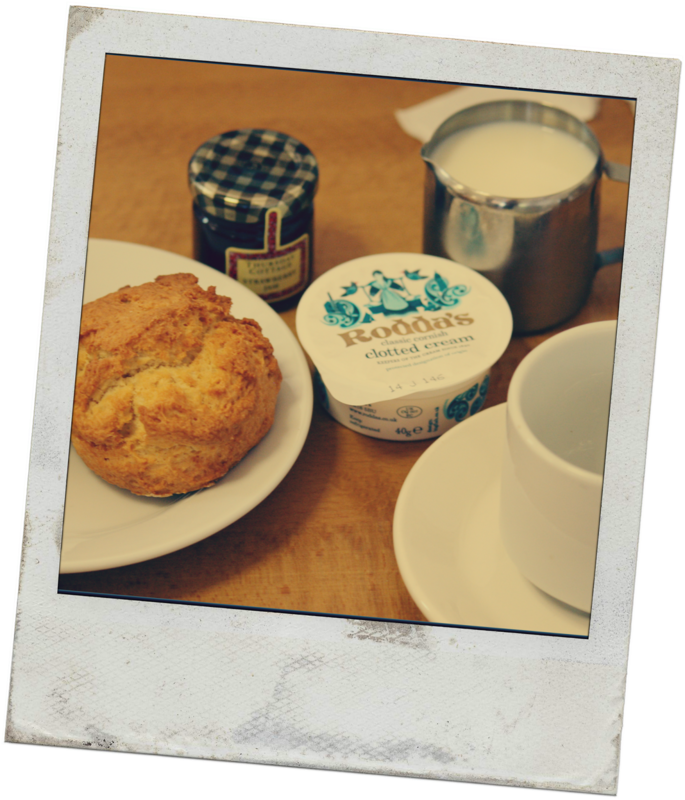 Unfortunately, clever Merryn hadn't accounted for quite how popular clotted cream really is and finds her plans are ruined... but interestingly enough, this works out rather well for everyone involved. ...if there is one thing that Lara, Holly, Mummy and Daddy are looking forward to on our summer holiday this year it is the chance for plenty of cream teas with clotted cream!